Below are some more popular hairstyles from the 60s. 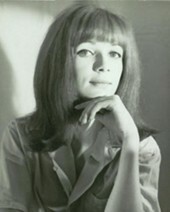 The flip was a classic 60s look that remained 'in' for most of the decade. 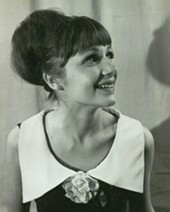 The beehive was popular in the early to mid 60s; this girl has a typical 'Audrey Hepburn look'. 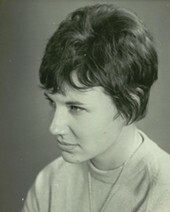 The pixie was a short hairstyle, which was popular in the mid 60s, before long hair came back in the hippy era.